Geshe Nyima Woser Choekhortshang was born in a village next to the Samling monastery, Dolpo, Nepal on 15th June 1976. His family is leading authority of the Tashi Namgyal monastery in their village. When he was eight years old he traveled to India and, his father and grandfather took him to India, Central School for Tibetans, in Dolanji, Himachal Pradesh, India. He received a modern education and learnt English, Hindi and Tibetan. In 1992 at the age of sixteen he took religious vows and gradually adapted to monastic life. At the same time he was admitted to the Bon Dialectic School of the Menri monastery. He studied Tibetan Bon philosophy, Astrology, Astronomy, Tibetan Literature and History, traditional Tibetan medicine, religious chanting and meditation for sixteen years. 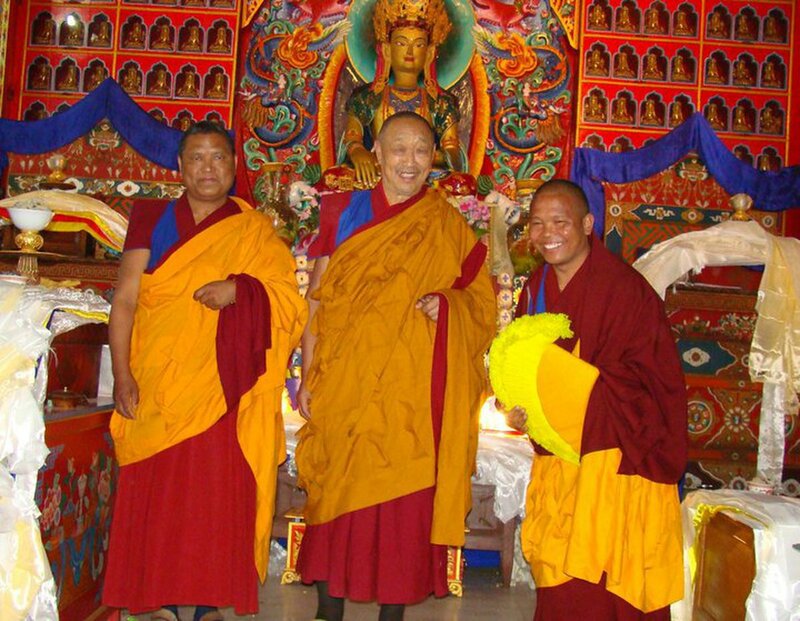 He was honored with the Geshe degree, the highest degree in the Tibetan monastic education system, in 2008. During his studies in the Menri monastery he received a special opportunity to serve as a secretary of His Holiness 33rd Menri Trizin, the spiritual head of the Bon religion, for eight years. In 2001, he was selected to be a member of the editorial committee for course books of the Bon Dialectic School. In 2002, he was elected to be the President of the Bon Dialectic School and became the chief editor of the Bon-sGo journal published annually in 2003. He then founded the Publication Centre for ancient manuscripts of Dolpo in 2005. That year he was appointed to be the treasurer of the Menri monastery, which he served treasurer three years. Taking advantage of his experience and traditional monastic education, in 1998 he began to do academic research. The main fields of his interest are the history and language of Dolpo and Bon philosophy. He has taken part in the following conferences: The 11th Seminar of the International Association for Tibetan Studies at Bonn University, Germany in 2006, The International Conference on Bon at Blou, France in 2008, The 7th International Congress on Traditional Asian Medicine at Thimphu, Bhutan in 2009, The 12th Seminar of the International Association for Tibetan Studies at The University of British Columbia, Canada in 2010, The 3rd International Seminar of Young Tibetologist, Kyoto, Japan in 2012, The 13th Seminar of the International Association for Tibetan Studies at Ulaanbaatar, Mongolia in 2013. Besides that he contributed to several Tibetan scientific journals and also has been involved in editing and publishing books. In 2009 he was invited to work at the Leiden University, Netherlands, as an affiliated fellow in religious studies. In the same year he matriculated at the Institute of South and Central Asia, Charles University, Prague, Czech Republic to study for my PhD. degree (project: History of Dolpo: The Rulers of Ra nag Dynasty, 15th-16th century) and to teach colloquial Tibetan at the programme of Tibeto-Mongolian Studies.